Two-piece dark, greens and mac. The only way to go. A city can never have too many regionally specific fried chicken restaurants. That’s like the first rule of cities. We’ve been eating spicy-sweet Korean fried chicken at places like Kyochon for years, Japanese karaage is getting more and more popular, Howlin’ Ray’s taught us how to crave the burn of Nashville hot chicken, and, now, there’s some absurdly delicious Southern-fried bird at Gus’s World Famous Fried Chicken in Mid-City. 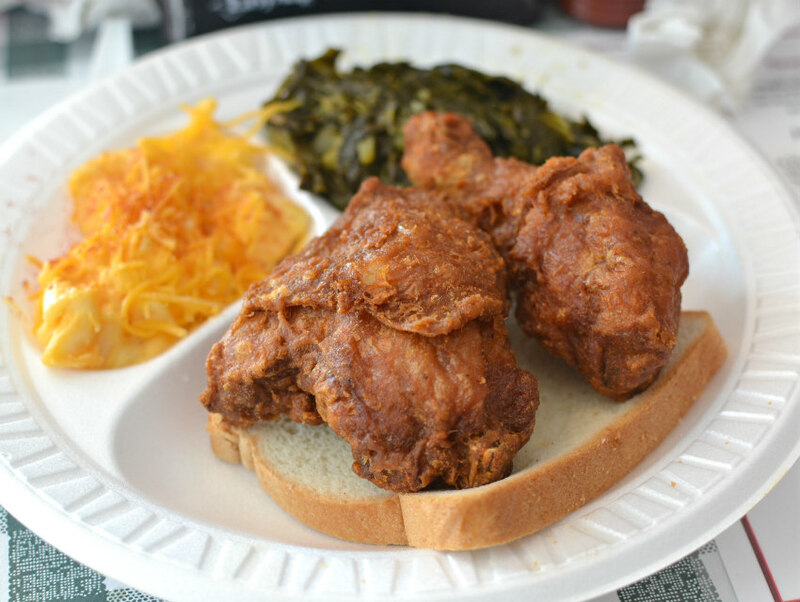 Gus’s, which is based in the Memphis area, refers to their chicken as “hot and spicy” but that doesn’t mean it has the same ruin-your-whole-week burn as Nashville hot chicken. All the heat comes from a heavily cayenne infused wet batter—no additional post-cooking hot sauces are necessary—and it gives the chicken a deep reddish tinge. The meat inside is juicy and seasoned all the way through (a fried chicken rarity), the coating is shatteringly crisp with a slow building heat, and the servers encourage you to slather it in ranch, which I think we can all appreciate. 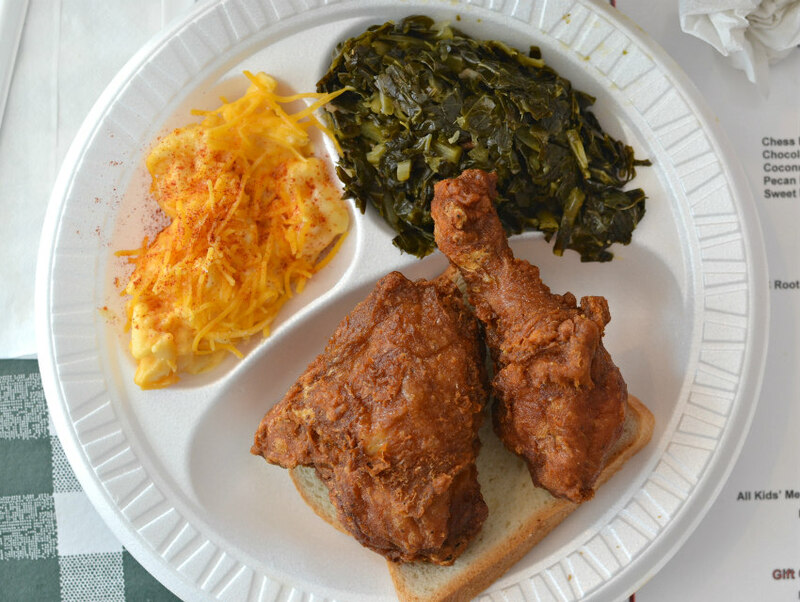 The chicken has been hyped up like crazy—GQ published a love letter to Gus’s earlier this year and once named it one of the top 10 meals in America worth flying to—and it totally delivers. The combination of juiciness, crispiness, and spiciness is something that’s totally unprecedented for anything I’ve had in L.A.
All the chicken is served on a slice of white bread, which tastes like a Little Debbie cake after eating all that salty fried chicken, and, by default, the plates come with beans and coleslaw with an available $.50 upcharge for other sides like mac and cheese or collard greens. The accoutrements are fine—cold, sugary cabbage with hot fried things is always a good idea—but really try and reserve as much stomach space as you can for the game-changing chicken. Oh, and chess pie. 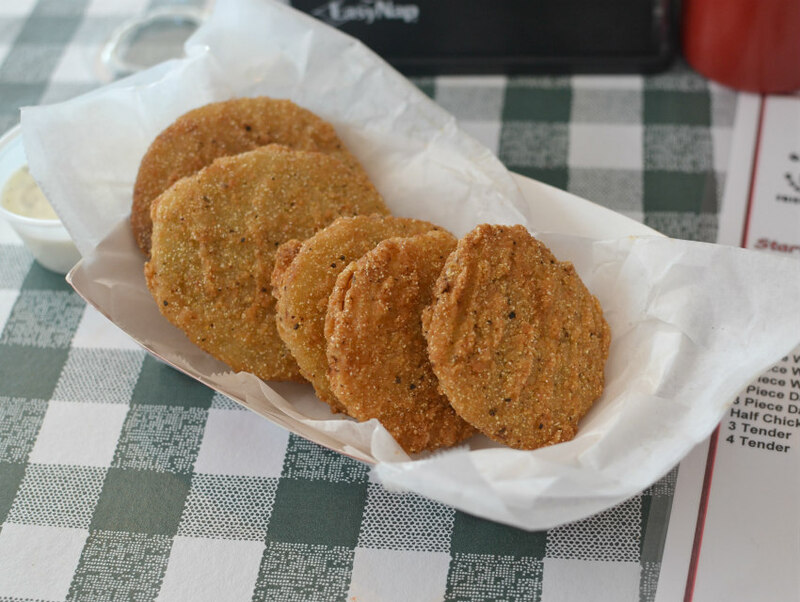 Oh, and fried green tomatoes—those too. 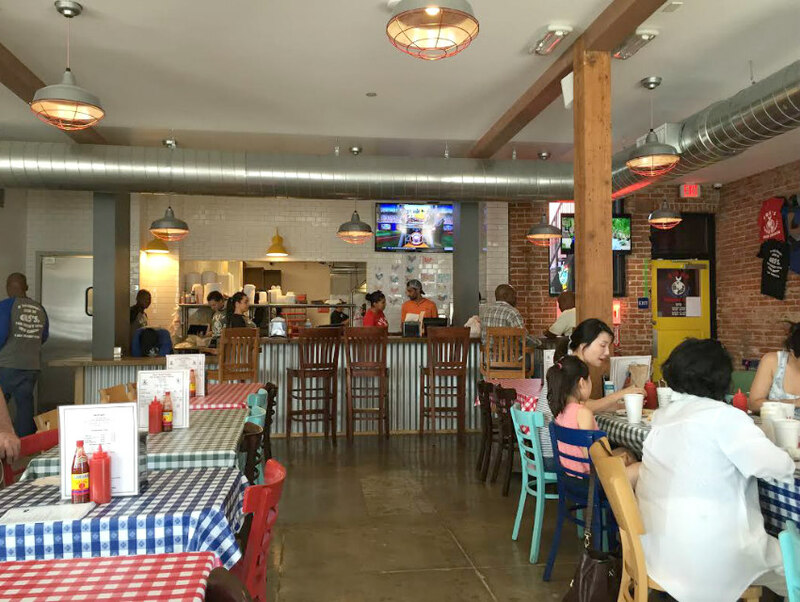 Gus’s is still soft open at the moment, so they’re still training servers and ironing out all the kinks before the grand debut, but you can still get all that magnificently spicy chicken on either a sit-down or take-out basis.